A shed is an investment in your property that you truly get to enjoy. Having the ultimate escape is what every Aussie guy dreams of. Your shed is a place you can work on special projects, somewhere to enjoy piece and quiet and to create memories that will last a lifetime. Imagine having all your tools all set up just the way you want them…..
A shed is your place to build and create. Who knows what inventions could be made in an Aussie garage built by Trusty Sheds! With our expert site visits and professionals designs team, you can be assured your shed will be an asset now and in the future. 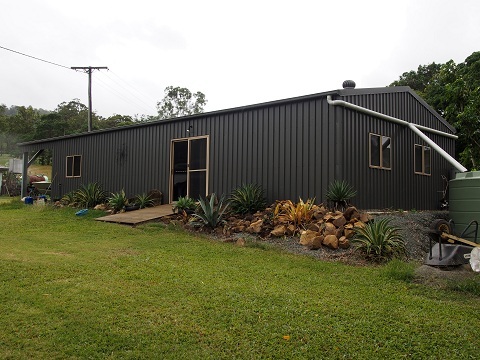 At Trusty Sheds, your personalised shed is designed and manufactured to Australian Industry standards, using the best Australian Made products available. Our team are local so they know the council and building requirements for your local area. Trusty Sheds use the latest in weather software to access climate and geographical requirements for your area, ensuring that your shed is built to last.